I sincerely apologize for the delayed response. If you are looking to purchase Season Two from our website, you can purchase it from the Game's Webpage Here, and scroll down to Sam & Max: Beyond Time and Space, and click the Buy Now button to purchase the full Season. 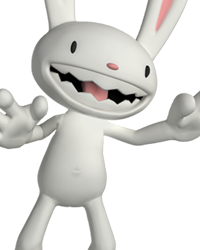 Unfortunately the purchasing of individual episodes is no longer possible for Sam & Max. I sincerely apologize for the delayed response. If you are looking to purchase Season Two from our website, you can purchase it fr… moreom the Game's Webpage Here, and scroll down to Sam & Max: Beyond Time and Space, and click the Buy Now button to purchase the full Season. Unfortunately the purchasing of individual episodes is no longer possible for Sam & Max. Apologies for the confusion. As you already own one of the episodes, Sam & Max Season 2 shows on your account as owned as it was changed to a Full Season single download. In order to purchase the game from our website, you will need the free first episode of Season 2 disabled temporarily on your account so that you can purchase the second season. Please contact/email our Support Staff at Support@Telltalegames.com, and they will be able to assist you further with this. Please make sure to include the email address associated with your Telltale account, and the information you have provided me here, in the email to Support.